Avery’s eggs are color coordinated. I realized when I was taking the picture that his tattoos are perfectly matched to his egg color. I’ll have to ask him tomorrow if he did that on purpose. Benji put a “B” on one, a “bee” on another, and covered the other with tattoos. Love that kid. I know the kids had fun. I love decorating Easter Eggs! You and the boys always do such a great job with all your crafty projects. I just might decorate some by myself today. Hope you all have a wonderful Easter. Love your Georgia cousin, Anne. ours are brown/orange? we eat organic brown eggs so the work is done. we just boiled a dozen night before last, having egg salad tonight. guess that doesn’t count as easter eggs – hee, hee! I keep putting the kids off. Now their goal is to do it on Friday. But after seeing my nephews fingers… http://www.3peasinbrooklyn.blogspot.com … I am once again scared to drag it all out. Ooooh, I love those eggs, we plan to do that on Saturday morning, I better get some more eggs! Hopefully I will remember to take pictures. 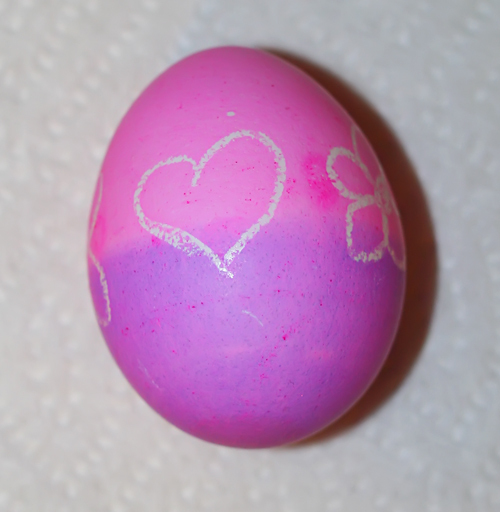 Am I a really bad mother because I have not dyed eggs with my children for… two or three years? I’m not sure Sophie has ever participated.